Check out our bathroom in the office! 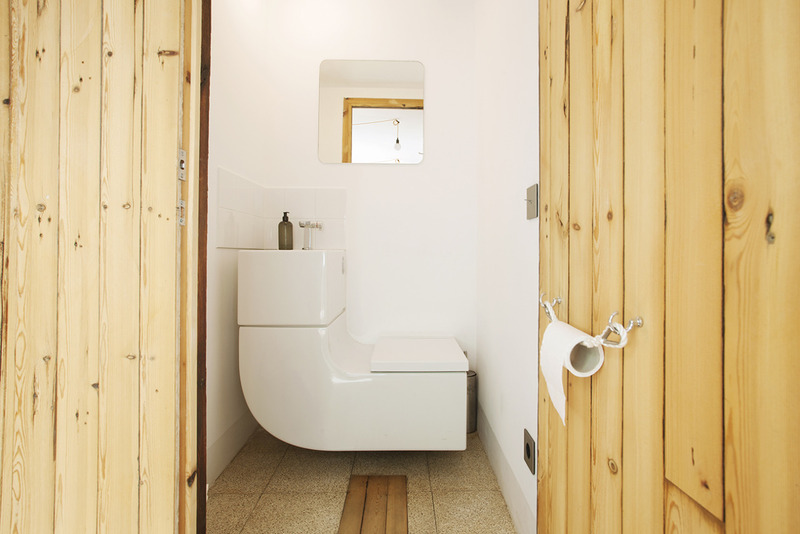 We installed the w+w by Roca, a toilet/sink that recycles the grey water to flush the toilet. It is a great talking piece and works, but, we were told that it is probably not that much more eco-friendlier than a modern toilet and sink, due to the large amount of (un-upcyclable) material. On the other hand, it is great for small spaces like ours. Read more about how we greened our bathrooms on Treehugger.com.